Do you need to have your hardwood floor refinished? 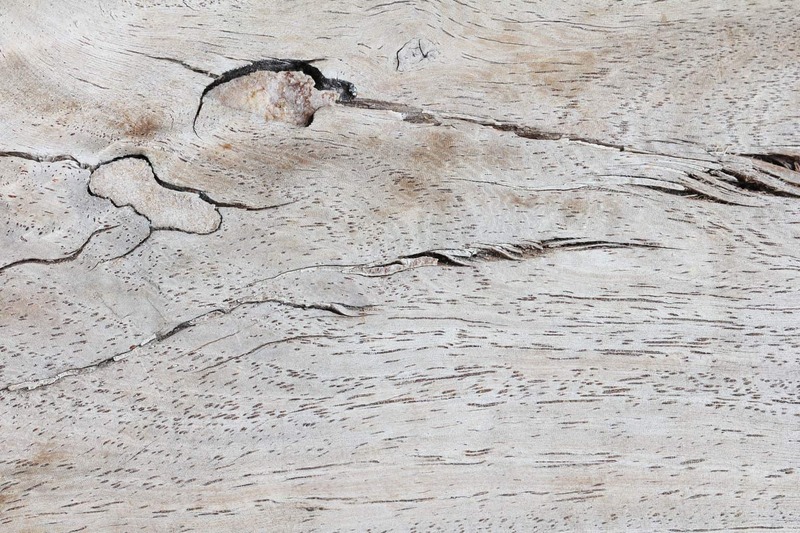 The first thing you should know about hardwood refinishing is that it's not something to be taken lightly. 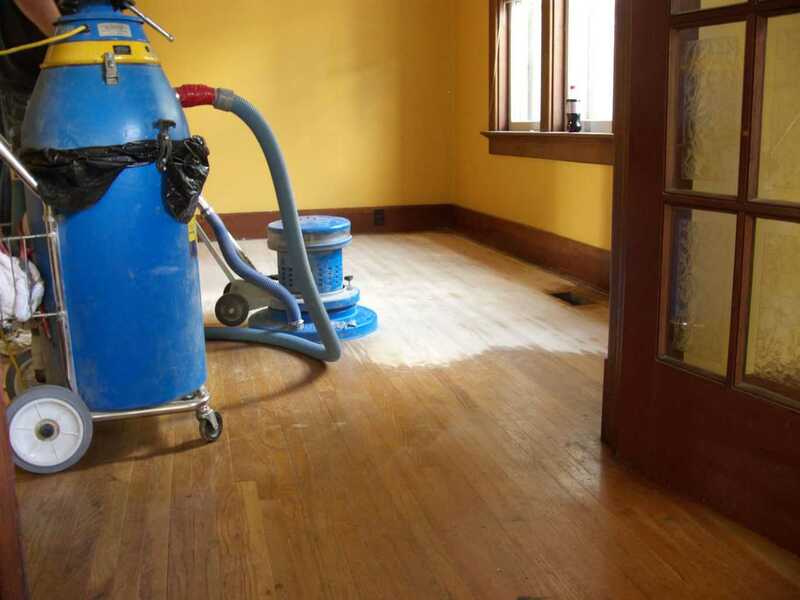 We often get asked if it's possible to handle restoring hardwood floors without sanding. The simple answer is that it is, but it's still possible to handle the process poorly. To avoid a major disappointment in the results of refinishing your hardwood floor, be sure to follow these tips. Related: Don't miss our best product reviews and comparisons for hardwood flooring! The process is actually trickier to get exactly right than it looks. This is especially true with engineered hardwood, which has a very thin wood layer that is easy to sand right through. We generally recommend finding a professional who is licensed and bonded and has been in the business long enough to build a good reputation so that you can rest assured that you're protected in case something goes wrong. If you have friends who have successfully hired somebody to refinish their floors, ask them who they hired because it's likely that the professional will have left a business card. Common refinishing techniques like sanding take a little bit of wood off the top. For this reason, the top wood layer of engineered hardwood needs to be at least 1/32” thick for sanding to be effective. Most professionals will even recommend replacing the engineered hardwood floor rather than refinishing it if the top layer has already been sanded several times and is getting pretty worn out. What's the cost of refinishing wood floors anyway? This is a common question. If a hardwood floor only needs a moderate amount of work, it's normal to pay between $1 and $4 per square foot depending on the amount of work it needs. A complete refinishing that includes sanding and applying 2 to 3 coats of finisher will naturally be on the high end. Custom refinishing is great when you're going for a specific look that is difficult to attain with available hardwood and standard finishing. However, expect to pay $3.75 to $5 per square foot for custom hardwood refinishing. Are you sure doing it by myself isn't a bad thing? 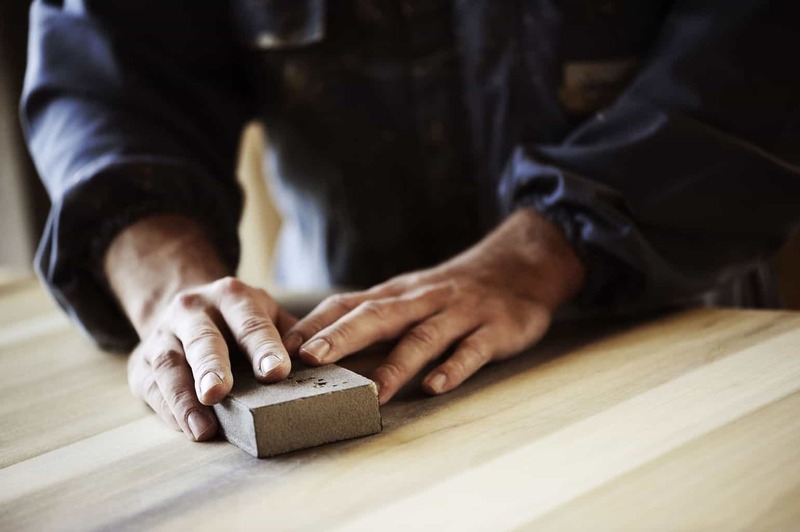 Actually, you may be able to rent a drum sander and buy some finisher, but you should do as much research as possible to see exactly what your floor needs. This is especially true if you have an expensive natural hardwood floor because it might be a type of exotic hardwood that is difficult to replace. It may even have specialized refinishing needs that can be difficult to get exactly right. 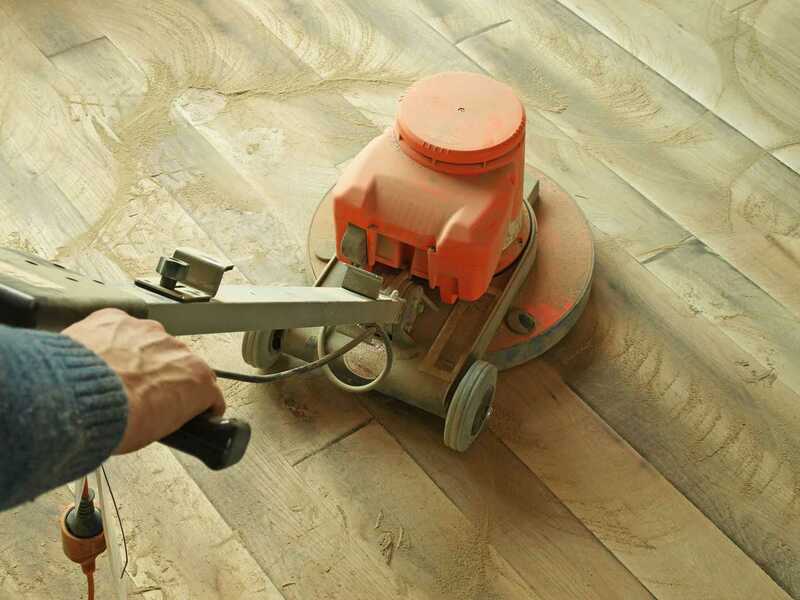 If your floors are showing light wear and tear like minor dents and scratches, you might be able to get away with sanding and a light reapplication of finisher. If you aren't sure, though, use an eye dropper to drop a small water droplet on the hardwood floor. If it soaks up immediately, the floor has gotten to the point where it needs a complete refinishing. You may wish to schedule your refinishing for when you're going to be on vacation, and don't forget to make boarding arrangements for any pets you have or take your pets along with you to “pet-friendly” locations. The refinishing process makes use of several strong chemicals, so don't be surprised if all your windows are open during the process even if it is hot outside. 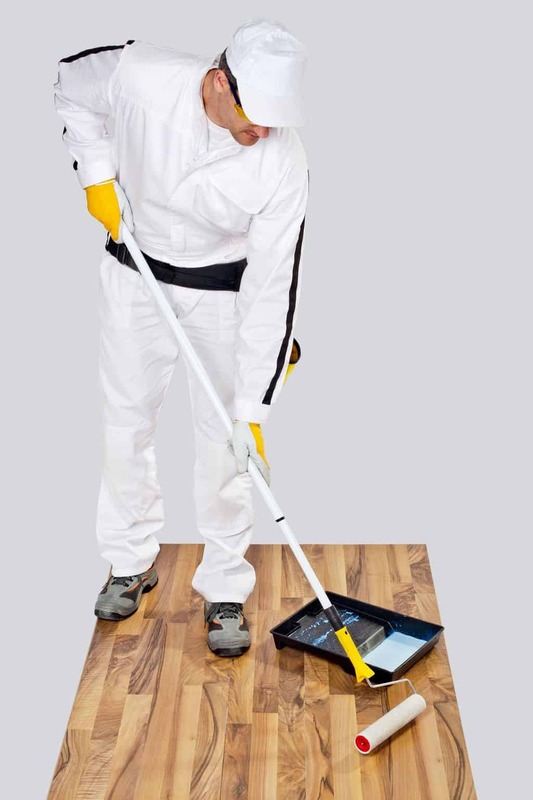 This is the refinishing professionals' way of reducing the effects of toxic fumes. Refinishing your hardwood floor can be a relatively painless process if you know what to look for in a professional with experience. A hardwood floor installer usually also has experience in refinishing floors or you can look for a professional that specialized in hardwood refinishing. Most reputable refinishing professionals will have certification with the National Wood Flooring Association, so this is a good place to start looking if your hardwood floor needs refinishing. When done correctly, refinishing a hardwood floor that has some light wear and tear, but not enough to make replacing the floor necessary, can enhance its appearance.